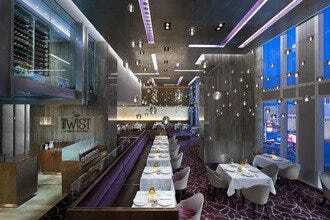 Las Vegas’ food scene expands so quickly that it can be hard for a foodie to keep up, and this spring is no exception. 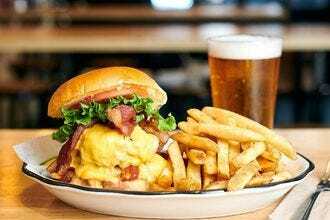 Park MGM has added several noteworthy restaurants, the Fremont East District continues to evolve and beyond the Strip, there’s no shortage of notable restaurants. Luckily, spring is the perfect time to check out some buzz-worthy Vegas restaurants, while the weather is still nice enough to enjoy a patio or two. One of the city’s favorite off-Strip restaurants, Marche Bacchus, recently underwent a renovation after a vehicle crashed into their storefront. Marche Bacchus has always been a excellent choice for a meal in spring, with its lovely patio overlooking the serene Lake Jaqueline, but now it has a new bar area plus a selection of premium spirits. At Sadelle’s in the Bellagio, part of the restaurant’s charm definitely comes from its location adjacent to the Conservatory and Botanical Gardens, which are always decked out stunningly for spring. This outpost of a New York original brings a deli-style menu to the Strip, with great success. Italian food has always been a Las Vegas favorite, and that trend shows no sign of slowing. 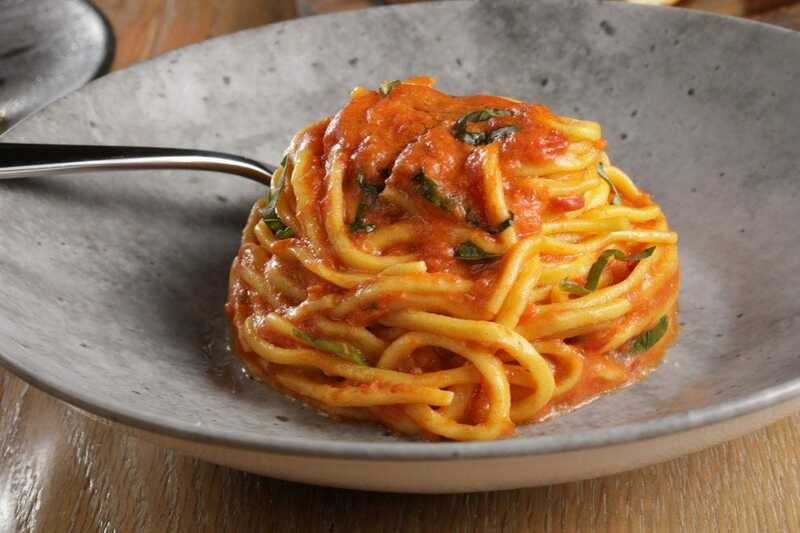 Masso Osteria brings the talents of Scott Conant back to the city, and Eataly offers a food experience designed to give you a taste (literally) of Italy. 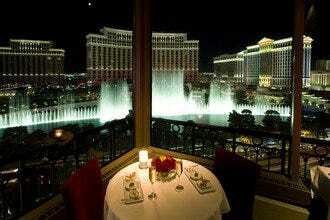 Scroll on down to read more about our suggestions for Las Vegas’ 10 best restaurants this spring. Few types of cuisine are more hotly debated than barbecue, but Las Vegas seems to agree that Mabel's BBQ is a delicious new addition to town. Located at the recently renovated Palms, Mabel's is the creation of Chef Michael Symon, well-known to Food Channel viewers. This is some serious barbecue, with half pound servings of brisket, chopped pork, pork belly, kielbasa or turkey. If you love ribs, you'll find pork spare ribs, sweet ribs, and a giant beef rib (for two). The menu also offers sandwiches, salads, and all the expected sides--beans, coleslaw, greens, mac and cheese--along with a robust selection of wine, beer and cocktails. The meats are all house smoked and are sourced from humanely raised animals that are antibiotic free. Eataly isn't a restaurant--it's a food experience, an Italian marketplace featuring cafes, bars, restaurants and market. One of many newer food offerings on this end of the Strip, Eataly holds three restaurants, several additional casual counters and bars, a market and a wine shop. A full calendar of tours, cooking classes, wine and beverage tastings along with specialty dinners provide an abundance of food-centric things to do. A stop at La Cucina del Mercato gives you the chance to experience "counter-to-table," six different fresh counters where you shop and then watch the experts prepare your purchase. Among the other stops at Eataly, you'll find a steakhouse, pizza, Lavazza, the Gran Caffe Milano bar and even a Nutella Bar with croissants, crepes, cookies and other treats. The Park Las Vegas has been supplying a steady stream of notable new restaurants, and Best Friend by Roy Choi is definitely among them. The highly anticipated restaurant brings the chef's culinary history alive in the menu, with strong influences from both L.A. street food and Korean cuisine. Guests enter through a liquor storefront into a lively space full of color and plants. Small plates and starters include Korean Wings, dumplings, braised and charred octopus. Other options cover a wide range of dishes: Kimchi Fried Rice, Spicy Cold Noodles, barbeque, tacos, and "large format" dishes for the table, like Lobster Kung Pao and Caviar Tostadas. With its great menu of modern food, an expansive selection of drinks and entertainment, Therapy offers guests a dining experience that's sure to please. This Downtown Las Vegas eatery occupies an open, industrial-style space with a welcoming vibe. Start off with Chorizo Empanadas, Chicken Meatballs with jalapeno cilantro pesto or Devils on Horseback, bacon wrapped dates stuffed with truffle goat cheese and almonds, served on romesco. The innovative entrees include roasted duck, a chimichurri steak, risotto and a delicious selection of sandwiches, including a Wagyu beef burger. You'll also find vegetarian and gluten free dishes. The drink menu includes a house-made sangria, a wide selection of wine and beer and an array of specialty cocktails. 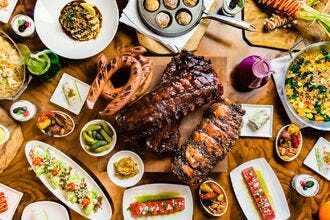 NoMad Restaurant is located at the NoMad Hotel, the exclusive hotel-within-a-hotel at Park MGM, one of the trendiest new spots on the Las Vegas Strip in 2019. The menu here is filled with refreshed American classics, but the atmosphere has European touches. The decor here imitates a library, adding to a plush ambiance that pairs well with the food. 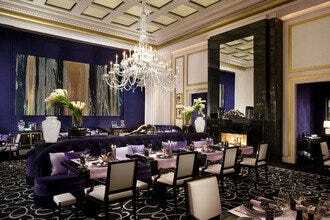 Look for dishes for the table, like the Le Grand Plateau, a selection of raw seafood, or the steak tartare. Other appetizers include Oysters Madison, ceviche, Foie Gras Torchon and Pata Negra, with Iberico ham, grilled bread and tomato relish. 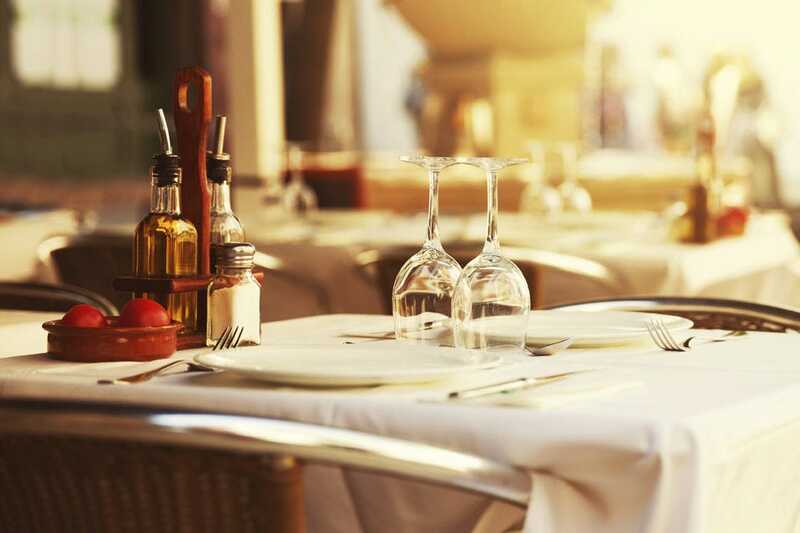 For entrees, choose from among pasta dishes, fish, lobster and such mouth-watering dishes as the Beef Rossini, an Escoffier filet, roasted foie gras and truffle-madeira jus. Cipriani Las Vegas recently arrived in town at Wynn, and it brings a reputation for upscale Italian food with it. The interior design has a nautical theme with serene neutral tones, giving guests an inviting space to enjoy the restaurant's acclaimed food. Signature dishes include carpaccio alla Cipriani, baked tagliolini with ham, pizza, Japanese dishes and even a decadent vanilla meringue. Other menu choices range from expected standards like pizza and pasta to a 28 ounce Wagyu Rib Eye Tomahawk. The restaurant started out in Venice, Italy, and each successive location has stayed true to its Italian roots, and the Las Vegas outpost is no exception. Sadelle's recently replaced Cafe Bellagio, giving it a whole new look and menu. Located adjacent to the Bellagio Conservatory and Botanical Gardens, Sadelle's is the only place where you can find a table with a view of the Conservatory's amazing display. If the menu and atmosphere here feel a little like New York, it's because the original Sadelle's is located in SoHo, and the idea was to re-create their vintage-style restaurant in Las Vegas. Serving breakfast, lunch and dinner, Sadelle's offers choices like hand-rolled bagels, lox towers, generously sized chopped salads, fried chicken and a New York ribeye smothered with onions. Roaming carts bring around pastries and Bloody Marys. With its upscale deli-style dishes and a beautiful interior decor, Sadelle's offers guests a great option for casual dining on the Strip. Acclaimed chef and restaurateur Scott Conant opened Masso Osteria in 2018 not on the Las Vegas Strip, but instead in the trendy community of Summerlin. 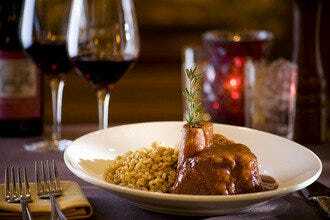 Located at the Red Rock Resort Casino, this new Italian eatery has an upscale but comfortable ambiance, with food to match. Appetizers include wood roasted octopus, meatballs and polenta "Bosciola" with bacon, truffles and mushrooms. 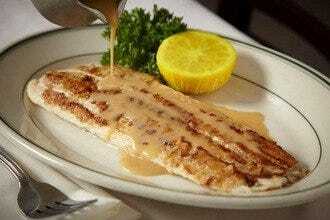 For the main course, look for dishes like cedar roasted Branzino with lemon, capers, olive oil and kale or the Spice Roasted Pork Chop with parsnip puree, broccoli rabe and apple sauce. Naturally, you'll also find a solid selection of well-prepared pastas. A vegetarian menu is offered, with vegan items as well. Once's distinctive flavors come from Peru and Japan, meeting together to form a menu full of inventive dishes. Pronounced "on-seh," the restaurant's unique cuisine quickly picked up acclaim from critics and guests with a menu that effortlessly combines ceviche and izakaya. Selections from the grill include scallops with wasabi peas, pork ribs with Peruvian BBQ sauce and a Chilean seabass served with pickled salsa. Dishes for two include a filet, a ribeye and a seafood plate that comes with lobster, snow crab, shrimp, sausage, pancetta and an egg. A full wine, beer and cocktail selection offer plenty of choices for what to drink with your delicious meal. The welcoming dining room includes living plant walls and gentle lighting, plus a patio. Dinner and brunch are served.